In the process flow of Change Request Management there are several situations where a Business User or Manager has to approve a step. It shall be evaluated whether a generic Approval App which does already exists in the Business Suite portfolio, can be used for that purpose. 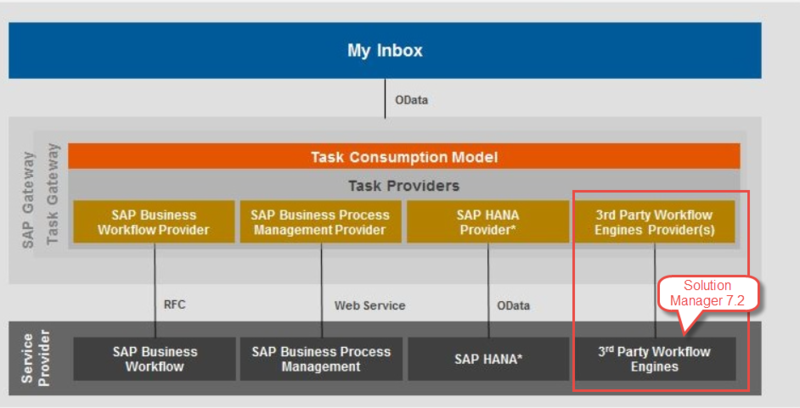 Fiori My Inbox is a single go to Inbox for dealing SAP and non-SAP workflows and approval requests in an enterprise. 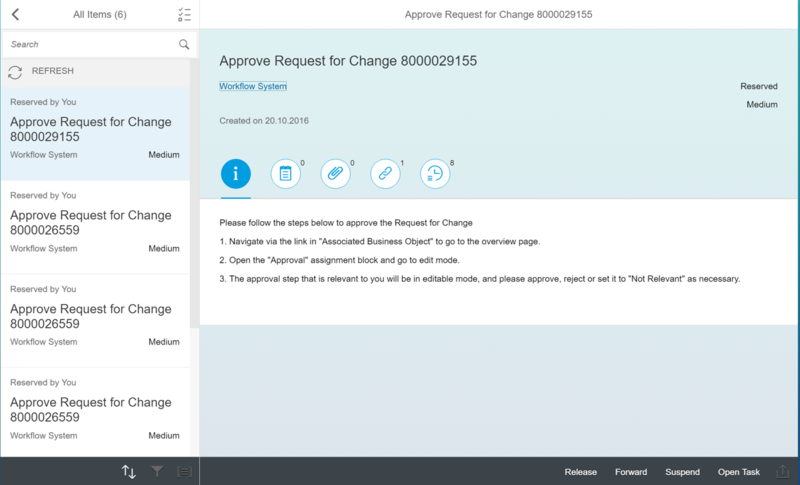 Note: It follows Fiori design language for user experience. You can process tasks from your SAP Business Workflow, SAP Business Process Management (BPM), and 3rd party providers. You can define the decision options you want to display (for example, approve or reject). You can perform the standard actions (for example, claim, release, or forward a request). These actions are available by default; no customizing is needed in the back-end system. You can perform mass actions, that is, process several tasks of the same type at the same time. You can view and add comments. You can view custom attributes that provide additional information about the task instance. You can view, upload, and delete attachments. 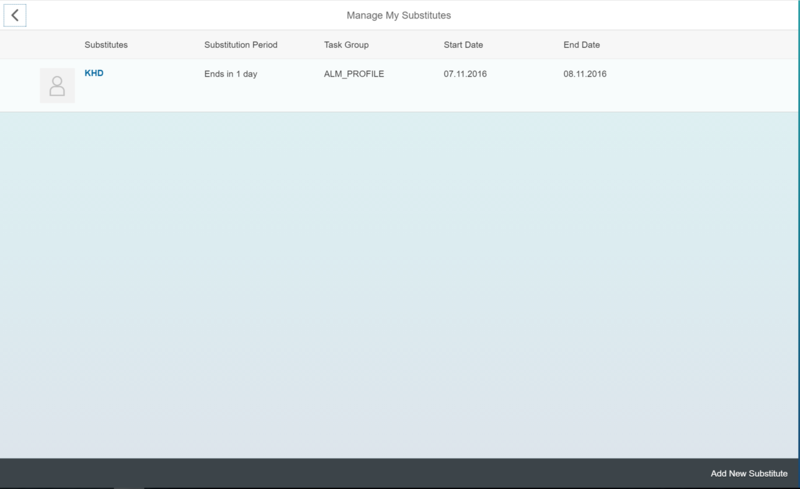 You can create and manage substitution rules to manage the tasks in your absence. You can send emails or post tasks on a pre-configured JAM site. You can view the business cards of the application users. You can browse, sort, filter, and group tasks requiring action. You can extend the standard application to cover additional UI or functionality needs. You can easily process all your tasks with the pre-configured All Items tile. 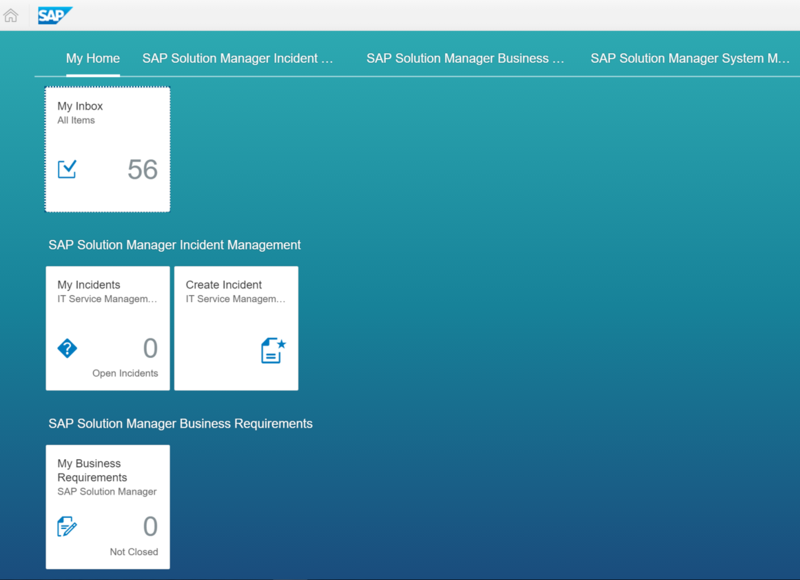 You can view the support information of the application to resolve error conditions. You can view the task history for Business Workflow tasks. You can view the additional information provided in the object links for Business Workflow tasks. 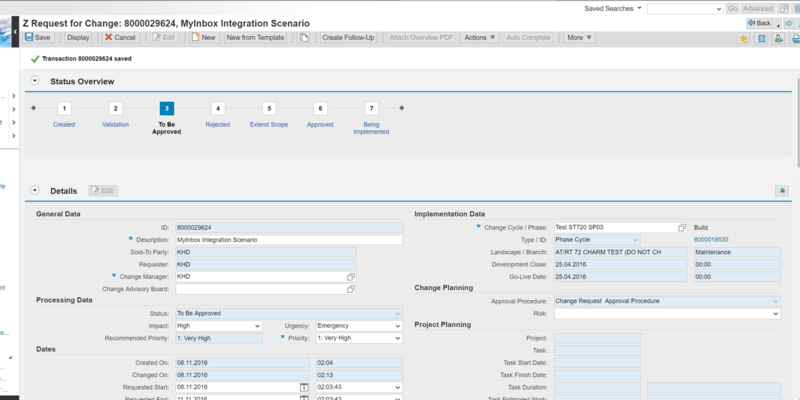 The My Inbox application also offers you the possibility to define your own workflow scenarios and create scenario-specific tiles in the SAP Fiori Launchpad. It is a transactional application. Using this app, you can approve or reject a request. You can view attachments and comments. You can upload files as attachments. Using My Inbox App we can process your standard and custom workflow tasks based on the decision options defined in the back-end system. My Inbox app consists of front-end component for the user interfaces, Task Gateway for OData services. My Inbox required specific installations that are already been taken care. Thanks for the Blog. Please continue to update as you make progress. Do you already know if this solution will support Change Documents (urgent change, normal change, general change, defect correction, and administrative change). Or are you just looking to implement this for Request for Change documents? Solution Manager help indicates that we can create approval processes for change documents as well. See screenshot and help link below. I was able to install the My Inbox Fiori App and get to the point shown below (copied from your post). Can you share how you got from the standard workflow appearing in the My Inbox app (above) to the custom workflow shown below (also from your post). Hi ! Nice document. Thanks for sharing. I would like to know how does My App work if same workflow task can be worked upon multiple users at same time. Will it show task as locked by first user to the second user when both of the users are working simultaneously on the task ? 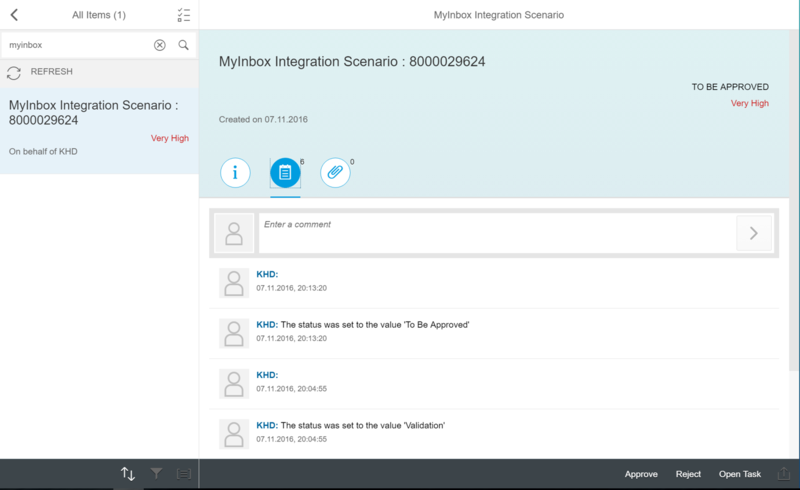 Does myinbox app in solman, only run on S4 Hana ? You can run My Inbox in Solman alone as well… Its not delivered as standard. Is it possible to integrate GP(guided provedure workflow) to integarte with My inbox using this 3rd party service engine option?? ?